Home » Announcements » Gig Alert: Lavender Groove Live @ Tango! Gig Alert: Lavender Groove Live @ Tango! Lavender Groove is the brainchild of singer songwriter Andrea Tariang. Based out of Shillong, Andrea took to playing the guitar and writing songs that speak of her heart just a couple of years ago and has now got to a point where she has got together some musician friends of hers to join her in this project. While her songs are naturally acoustic based, with the inclusion of her band mates, the songs have now taken on a different colour and groove resulting in a sound that is rootsy and at the same time relevant to the times. 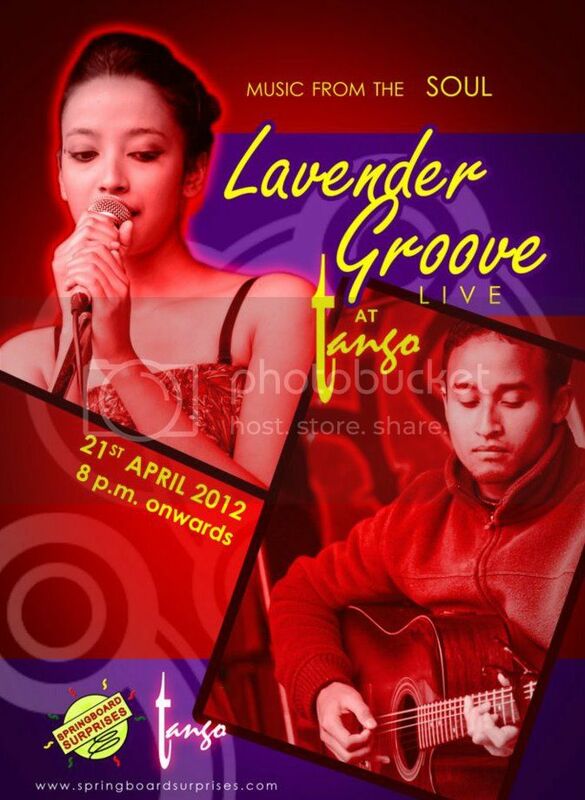 Lavender Groove plays live @ Tango, Police Bazar on the 21st of April 2012.